San Francisco Film Critics Circle, Tom Sika, picks us! 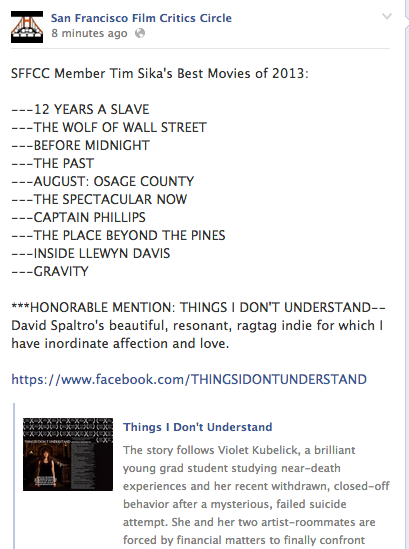 Things I Don’t Understand was given Honorable mention by San Francisco Film Critics Circle member, Tom Sika’s, Best Movies of 2013!! See the amazing movies on his list below!